Fiji has a huge ‘black economy’ problem says Finance Minister Aiyaz Sayed-Khaiyum. 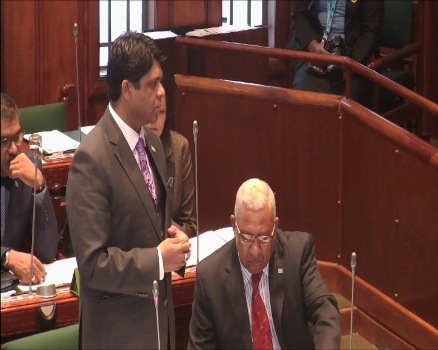 Sayed-Khaiyum says a study of 162 economies of the world for the years1999-2000 by the World Bank in 2007 revealed that in Fiji, 32.4 per cent of the official GDP was not accounted for. Sayed-Khaiyum says this translates into approximately $716.2 million has not been collected through tax revenue. He says some measures have been put in place to address the issue. Sayed-Khaiyum was responding to a question posed by MP Sanjit Patel, in Parliament this morning.